The Supreme Court has reserved its order on Lalu Prasad Yadav’s plea seeking transfer of trial court judge hearing the case against him in the multi-crore Fodder scam in Jharkhand. In his plea, the RJD chief has asked for transfer of the case to another judge. Senior Advocate Ram Jethmalani appearing on behalf of the RJD Chief argued that there is apprehension of bias as the judge is related to a Minister in the Government of Nitish Kumar, “who is his (Yadav’s) biggest political enemy”. Notably, the trial court judge PK Singh is a relative of PK Shahi, Education Minister in the government of Nitish Kumar. There were other allegations that the judge was also related to the complainant Rajiv Rangh Lalan in the case. Senior Advocate Shanti Bhushan strongly opposed the proposal of transferring a judge at the fag end of the trial. He stated it would be “travesty of justice” if such is allowed to happen. “The whole country is watching and it would send a wrong impression that criminal cases involving important politicians will go on and on," Bhushan said, adding that "the transfer of judge would shake the faith of people in judicial system". The CBI, which is the prosecuting agency in the fodder scam, objected intervention of Ranjan qua Shanti Bhushan in the case, saying that he is a politician and the political battle cannot be allowed in the court. Lalu approached the Apex Court after the Jharkhand High Court on July 1 dismissed his plea to transfer the case to another special CBI court. The HC had held that nothing was placed before it by Lalu to prove that the judge does have any association with Shahi except that he is “distantly” related with him. 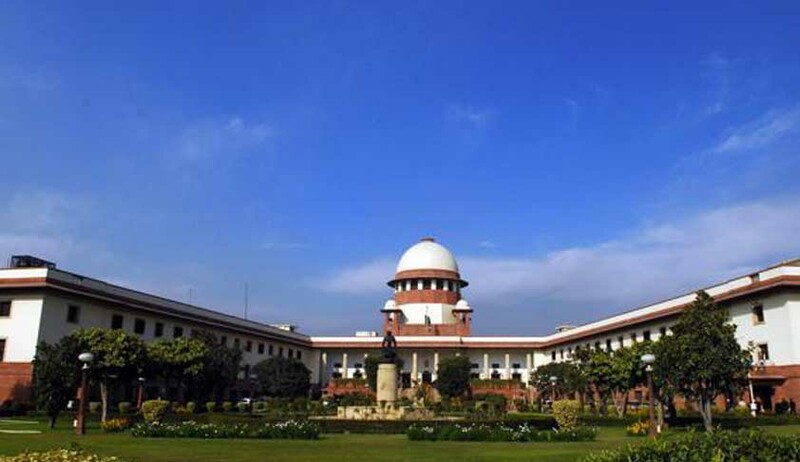 The Supreme Court on July 9 admitted that the question of bias raised by Jethmalani was a serious allegation and required examination by the Court. Bench headed by Chief Justice P Sathasivam ordered an interim stay on the passing of judgment which was to be delivered by the Ranchi CBI court on July 15 and issued notice to the State of Jharkhand and CBI. The case relates to the alleged fraudulent withdrawal of Rs 37.7 crore from the Chaibasa Treasury through fake enforced bills by the officials of the state between 1994-96.The CBI filed a chargesheet in 1997. The charges were framed in 2000 following which the Special CBI Court commenced trial against Lalu Prasad and 44 other accused including former Bihar chief minister Jagannath Mishra, IAS officers, and fodder suppliers.